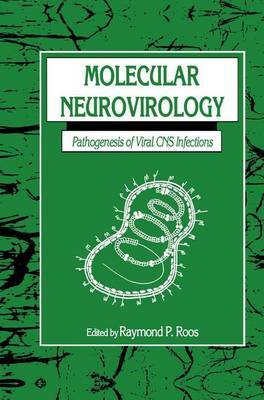 Neurovirology, the study of viral infection of the ner- vous system, has evolved at the interface of three of the most rapidly unfolding fields of investigation-neurobiology, vi- rology, and immunology. In all three, increasing knowledge about the molecular structure of surface receptors, how in- tracellular messages are transmitted, and how diversity is regulated genetically is provided, along with the techniques of molecular biology. This promises to give us knowledge not only about the process of infection and the complex host and viral determinants of neuroinvasiveness and neurovirulence, but eventually it will provide the background from which to engineer vaccines and to devise novel therapeutic agents. Animal virology and molecular biology developed quite independently from different origins. Animal virology was originally the province of the pathologists, and by clinical observation and histological preparations, they tried to ex- plain the incubation period, the pathways of virus spread, and the mechanisms of disease. Molecular virology grew out of biochemistry, particularly through studies of bacterio- phage, with emphasis on the physical and chemical structure of viruses and the sequences of biochemical events during the replicative cycle in cells.